I have. In fact, it happened to me last month. My name’s Sarah Leighton, a digital services graduate at Companies House. I'm first-up in a series of "meet our team" blogs. As I trudged up the 4th peak of the Welsh 3000s challenge, I questioned my ability to finish what I’d started, in more ways than one. 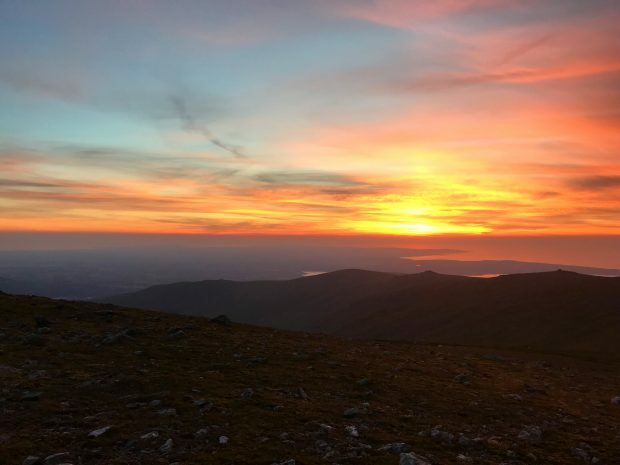 I panicked that maybe I wasn’t good enough to complete the Welsh 3000s – a fast paced and gruelling journey in which you summit all 15 peaks in Snowdonia above 3000ft, in under 24 hours. But, that was just the tip of the crisis iceberg. The Welsh 3000s challenge for me was a training exercise, preparing me for an even bigger and more personal challenge lying ahead. I’m training to complete a unique challenge in August. 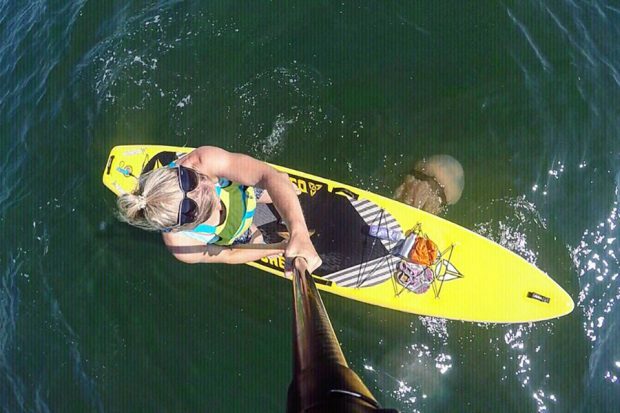 It involves stand up paddle boarding, cycling and hiking across Wales, from Cardiff to Holyhead. I’m fundraising for the Search and Rescue Dogs in Wales, Keep Wales Tidy, and Mind for mental health. Training has been a hard battle to gain not only the physical ability to do this, but also the knowledge required to safely complete my journey. Particularly, with the paddle boarding element, where it’s been a steep learning curve to gain the knowledge needed to journey along the Bristol channel – the second most tidal region in the World! A couple of months back, I completed a 48 kilometre day on my paddle board; paddling from Porthcawl to Penarth. A massive tick in the confidence box. But, after the high of realising I can paddle long-distance wore off, the confidence-crushing demons crept in. Could I cycle far enough to complete my challenge? Had I neglected the cycling and hiking elements and focussed too heavily on the paddle boarding element? So, 4 days later I headed out on my bike and cycled 107.5 kilometres, from Cardiff to the Rhigos mountain, to Merthyr, and back to Cardiff. Again, a massive tick in the confidence box; and enough to pacify the demons for another few days. I guess you probably know what’s coming next. A few days down the line, the demons had forced their way back in, and were running rings around me. Would I be able to hike 15 peaks after paddle boarding and cycling? Compared to the other 2 elements of my challenge, hiking is where my experience lies. I completed some pretty hard trails and challenges whilst part of the Officer Training Corps, and the mountains have always been where I’ve felt at home. But, the demons weren’t having it. 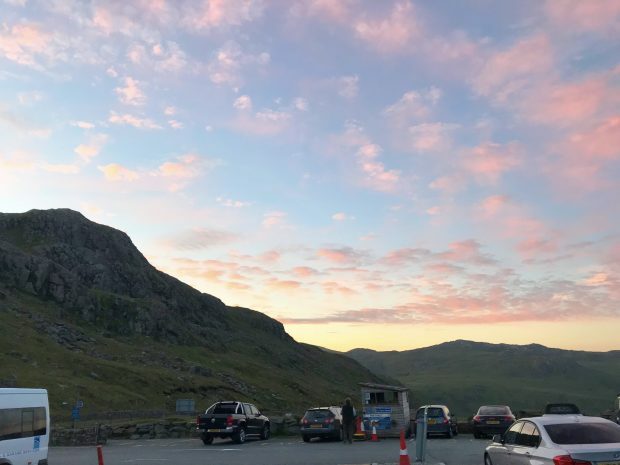 Next thing I know, I’m sat in Pen-y-Pass car park at 4.30 am on a Saturday morning, with a group of people I’d never met – but who I’d get to know over the proceeding 20 hours. Dawn at Pen-y-Pass car park. We completed peaks 1 to 3 on the Snowdon range and descended into Nantperis to our first checkpoint, then onto the Glyderau range. Peak 4, Elidar Fawr, is a non-technical climb. No scrambling or technical ability required in comparison to some of the other peaks, just a long hard slog of ascent. It was at this point I began to question my ability to complete the challenge. Not because peak 4 was going to defeat me, I knew I could push through that, but because my chimp brain was running ahead of me. Our human brains have a nasty habit of 'catastrophising' in stressful situations. This wasn’t about peak 4 at all, this was my mind creating beliefs that if I was struggling at this point, I would never make it to the end of the Welsh 3000s. And if I couldn’t do that, what chance do I have for my challenge in August? The view from peak 13. I gave myself so many 'talkings to' on the ascent of peak 4. I got into the root of why I was there, and what this was all about. My Ultimate Wales challenge has been about more than just training for the final adventure. I dreamt it up with the intention of giving my adventures a purpose. 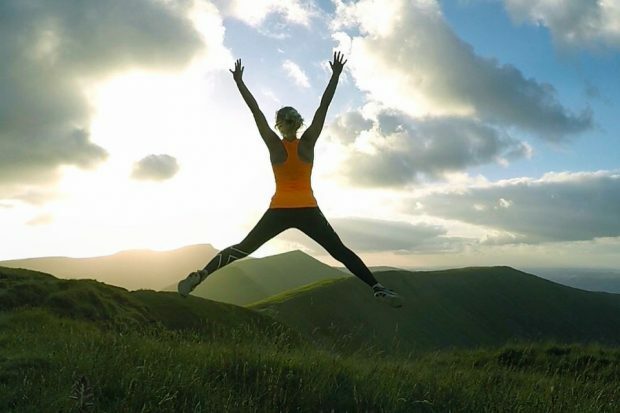 It’s been a fundraising project with an ethos behind it – to inspire and encourage more people to get outdoors, move, adventure, and explore this beautiful country. It’s been about encouraging people to take control of their own health, both mental and physical. And, it’s been about my own self progression. 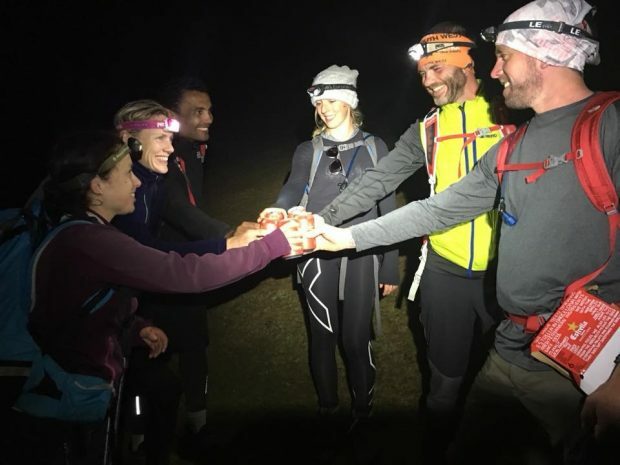 15 peaks in 19.5 hours, a 50 kilometre continuous journey, 4000 metres (13,000 feet) of ascent, scrambling, sweating, laughing, blisters, burning knees… and the Welsh 3000s was complete! I crawled into my tent with another big fat tick in the confidence box, and the confidence-crushing demons left out in the cold. 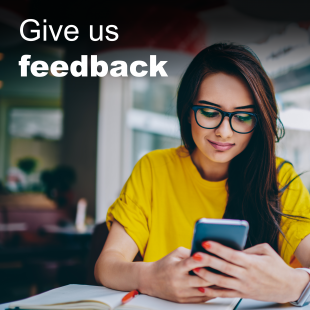 Next time you’re facing your peak 4, ask yourself why you’re doing what you’re doing. That’s the way to get through a crisis of confidence. You’ll touch on your core values, and remind yourself why the thing you’re doing is important to you. And if you’re ever facing the actual peak 4, turn around now… it’s flipping horrible! (But the view is worth it). If you’ve enjoyed this post, I’d be eternally grateful if you could donate to my fundraising target. If everyone could spare £1, it would blow my target out of the water. My Canadian pal Ted has has had rather more time to be putting himself through it ... !